White rice is treated pretty badly to get to the light colour - it's unhusked then polished which results in the smooth white grain you probably use regularly. 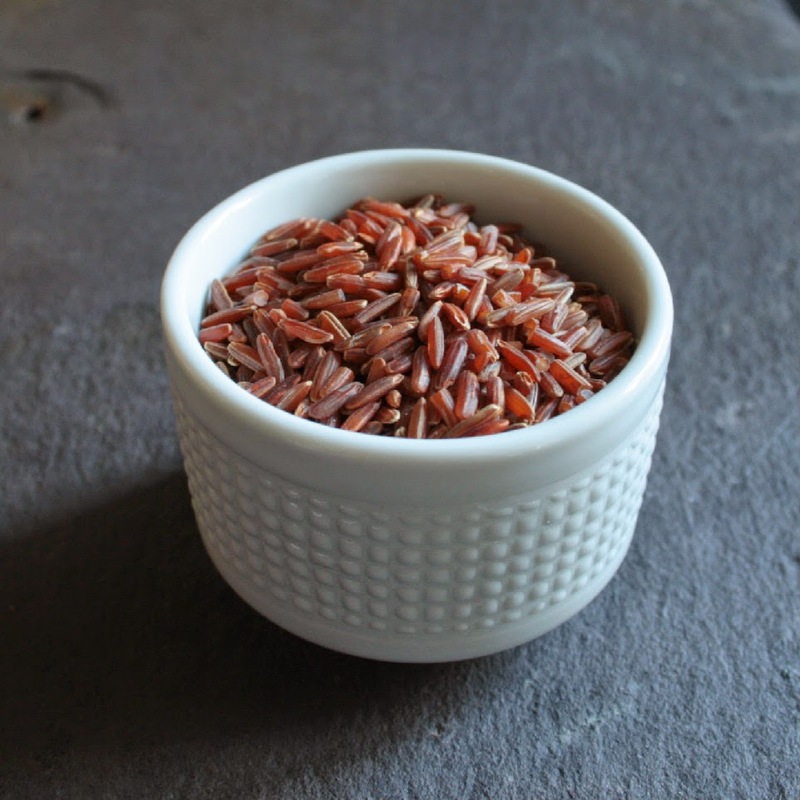 The red rice grains have it much easier as they don't get as processed. The skin is that lovely shade of red because of something called anthocyanins - antioxidants! It's also higher in protein, fibre and iron than its white cousin. 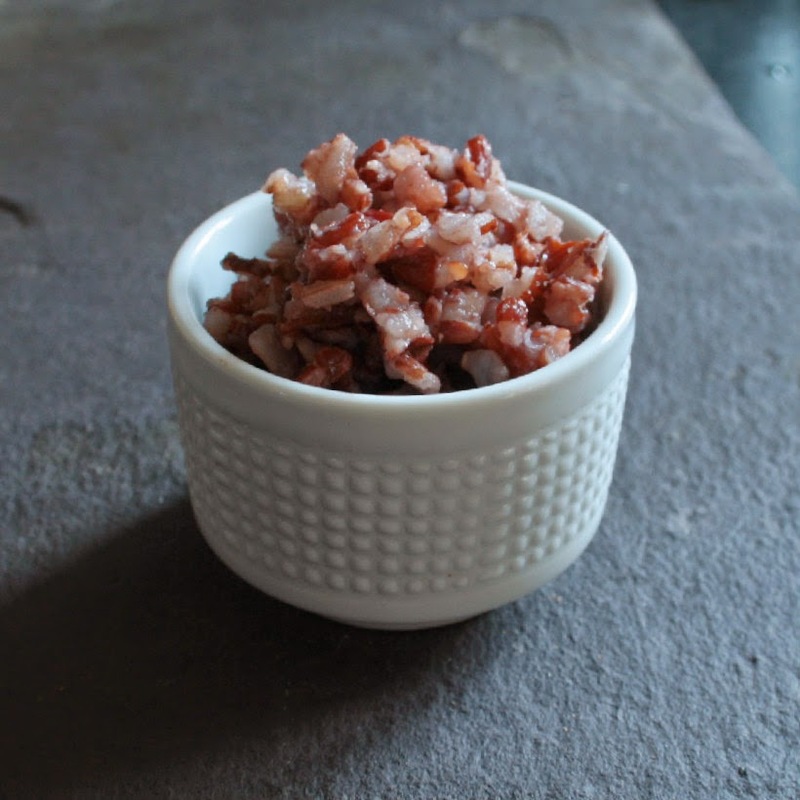 Once cooked the rice has a more meaty texture and a lovely nutty flavour, not too different to brown rice. It might not be that easy to find in the supermarket but is worth tracking some down to try yourself! 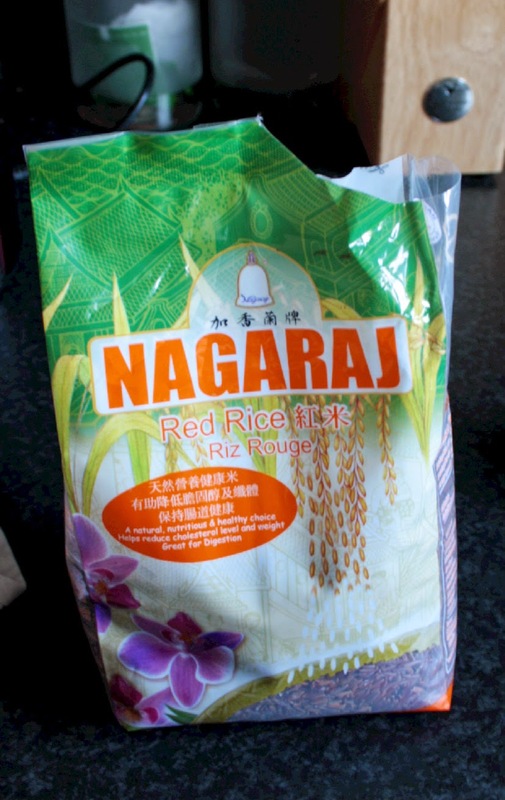 I've found a few links where you can it online but if you have an Asian supermarket near you, check the rice section! My absolute favourite way to use this type of rice is with tofu pockets. 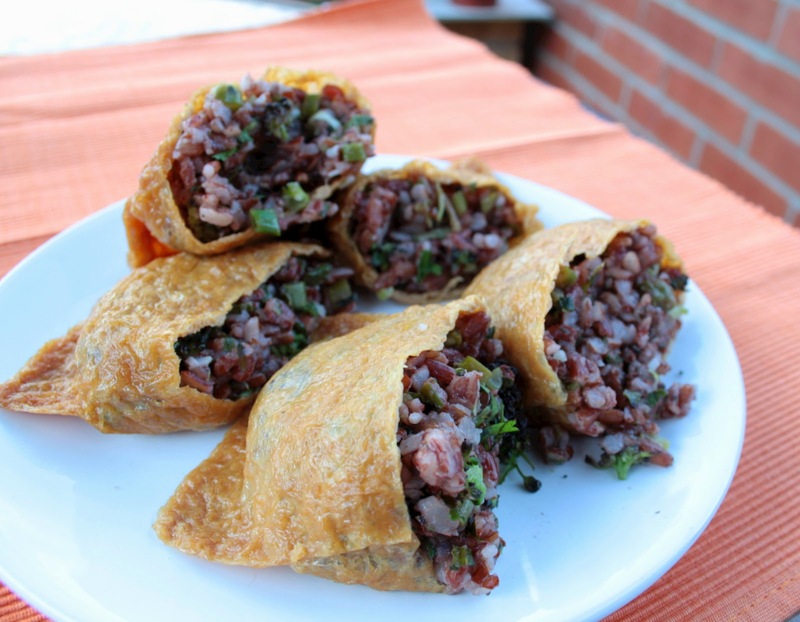 The bold texture of the rice mixed with a few simple veg snuggles inside the slightly sweet pockets. I made quite a few so I could have some for dinner and take the rest in to work for lunch the following day.